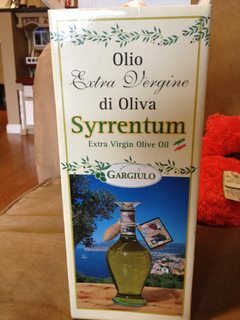 I was given extra virgin olive oil as a gift from Italy (picture below), and I wanted to see if that type of olive oil is treated like fruits and vegetables, or does it needs to have certification on the label. See this interesting article by Rabbi Yirmeyahu Kaganoff about the production of olive oil. He discusses the issues of fraud in the market and notes that different kashrut organizations have different views on the matter. He quotes the OU as not requiring certification on extra virgin olive oil only (virgin olive oil still needs). He also quotes the Eida Charedis which requires a mashgiach nichnas veyotzei for extra virgin olive oil during the year, and a masgiach temidi for pesach. CYLOR. The OK has an article (archived link) on olive oil production and kashrut concerns. In the article they explain the differences between the different levels of olive oil (i.e Extra Virgin, Virgin, Fino, olive oil, and light olive oil), both in processing and in the nature of oil itself. once refining is done, one needs to be careful what else was refined in the same equipment. when the olive oil is shipped prior to bottling, the tanks and containers may also be problematic. In conclusion, where olive oil is concerned, extra virgin oil that is packed at the source presents little or no problems for kashrus. However, any other form of olive oil must have a reliable hechsher. All of the above is relevant for other vegetable oils as well. However, other oils are generally not sold in pure form except for some cold-pressed oils, in which the same guidelines as those for extra virgin olive oil would apply. As an example, I once had a bottle of Vigo Imported Extra Virgin Olive Oil - Cold Pressed. The label says that it is a Product of Spain, Argentina, and Tunisia. I contacted the company and asked them if that meant that the olives are pressed in those countries, and then the olive oil is transported to another location, where it is blended and bottled, or if it mean that the oil is pressed and bottled on site, but sometimes it may come from Spain, Argentina, or Tunisia? They told me that the olives are pressed in those countries and then shipped to them where they blend them and then package the oil. According to the article from the OK, this Extra Virgin Olive Oil would not be acceptable without a Hechsher. oil refineries still require kosher certification. London Beth Din lists several unsupervised approved olive oils. In general, all extra-virgin olive oil are permitted. Other oils like soybeans, corn, sunflower generally do not pose problem even if non certified. If the major koshering organization of Italy states that it can be permitted and doesn't require certification...well, that sounds pretty reliable, no? The IKU's list of kosher foods was compiled by the Chief Rabbi of Rome, R. Shmuel Riccardo Di Segni. The organization is supervised by R. Yitzhak Belinow (rabbi of the Beth HaLevy synagogue in Milan). The IKU lists the other authorities outside Italy that it recognizes (found here), which include OU, Star K, Badatz, and the Israeli Rabbinate. The chief of IKU, Meyer Piha, produced the Italy Jewish Guide, an authoritative collection of every kosher food and certified restaurant in the country. 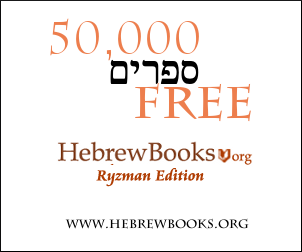 The book was approved by all the major Italian rabbis (including Chief Rabbi of Milan R. Arbib and R. Di Segni) as well as Chief Rabbi of Israel R. Yonah Metzger. Based on the following information, I trust the organization as a reputable guide to the Italian olive oil industry. Not the answer you're looking for? Browse other questions tagged halacha food kashrut-kosher oil . Does extra virgin organic coconut oil have to have a hechsher? Does 100% pure avocado oil need special kosher l'Pesach certification? Can one trust the Kashrut of Alcoholic Beverages in bars? Why Does the Rambam Assert That It Took Eight Days To Obtain Pure Oil? How does sesame oil differ from grapeseed oil? Can a Jew borrow a cup of sugar from his non-Jewish neighbor? Can any brand or type of olive oil be used to light Chanukah candles?